September 12, 2018 at 7pm. 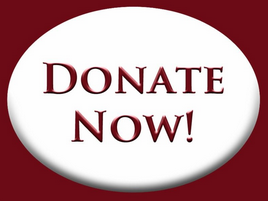 Lectures are free for Members, $5 non-members. Gazing upon the Gaslamp Quarter from just atop the hill in the Sherman Heights Historic District sits the regal Villa Montezuma; the 1887 Palace of the Arts and home of mysterious, world-traveling Musician and Spiritualist Jesse Shepard. Join us for our next History Talks! 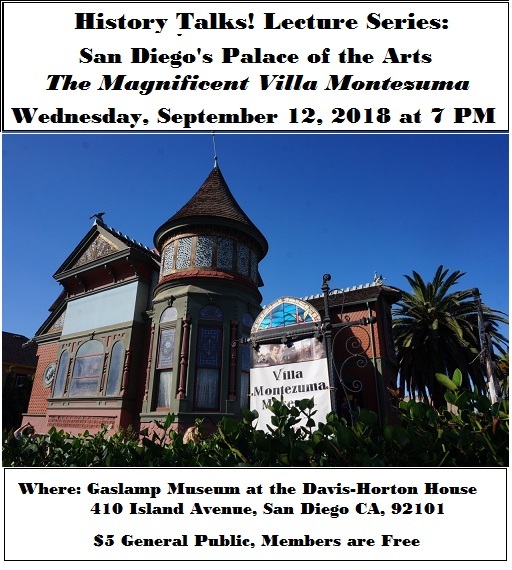 Lecture as Historian Louise Torio, President of The Friends of the Villa Montezuma Inc., shares the fascinating history behind this Queen Anne-style Victorian house museum. Who exactly was Jesse Shepard, and why did he move to San Diego? Who was Francis Grierson and why was this his house too? Is the inside of the home just as strikingly beautiful as the outside? Find out the answers to these questions, as well as what the future holds for this historical treasure. This entry was posted in Uncategorized and tagged Davis-Horton House, Gaslamp Museum, Gaslamp Quarter, History, San DIego Gaslamp Quarter, San Diego History.